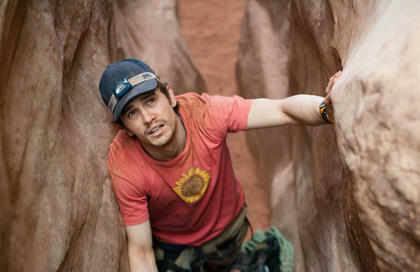 The first trailer for Danny Boyle’s 127 Hours has been released. The film tells the true story of Aron Ralston (James Franco), the mountain climber who was trapped by a boulder for nearly five days in Utah. It opens on November 5th. This should be very interesting. I heard his true story about a year ago. Heard hi story awhile ago, looking forward to the movie. during lunch break. I enjoy the information you provide here and can't wait to take a look when I get home. so far. But, what about the conclusion? Are you sure in regards to the source? The Intoxilyzer 5000 is the valid breath-Test ing brewing system that could used. to allow them to use.